Günes-Hélène Isitan, New World, 2018. 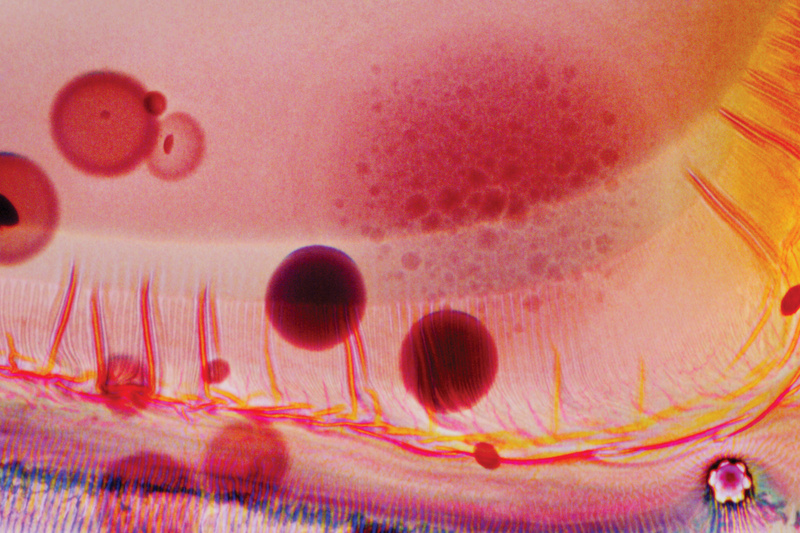 Image grown on photographic film from skin bacteria. Courtesy of Alien Agencies Collective. Dornith Doherty, Vault Exchange (detail; top to bottom, left to right: Cotton, Beet, Coffee, Pumpkin, Sunflower, Corn), 2018. Courtesy of the artist. Elaine Whittaker, Skin, from the series Skinscape, 2018. Courtesy of the artist. 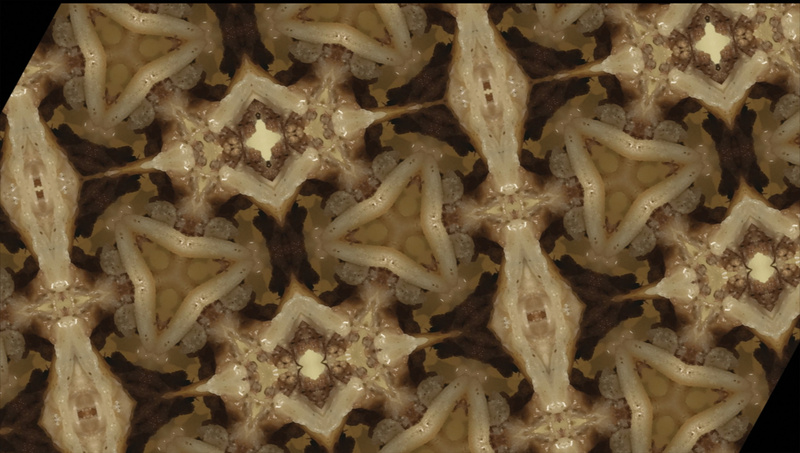 Jude Abu Zaineh, Kaleidoscope1, from the series Maqlouba, 2018. Courtesy of the artist. 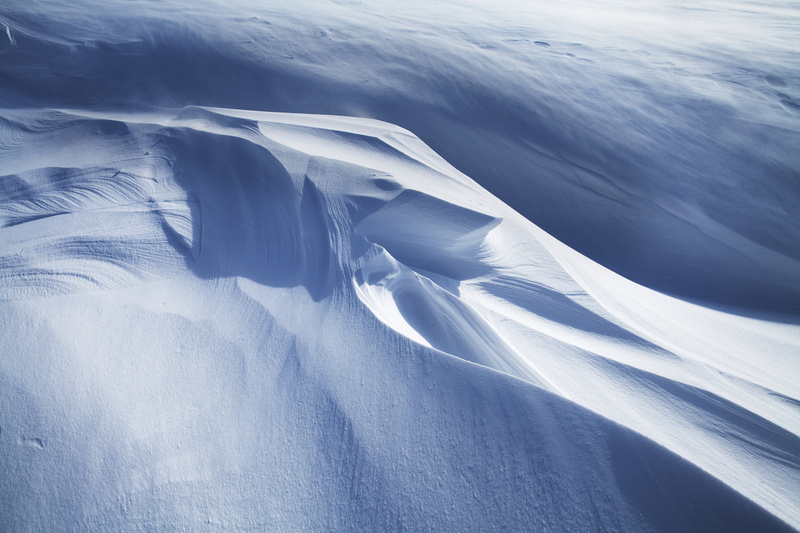 PA System, Snow, from the series Drifts and Directions, 2012–present. Courtesy of the artists. Idea Projects is a product of the Ontario Science Centre’s partnership with the Museum of Contemporary Art Toronto, which provides three-month studio residencies to selected artists exploring science and technology through art. This exhibition brings together five of the resulting projects, all made in 2019, which engage science through creative experimentation and participatory activism. These site-specific installations, positioned throughout the Great Hall of the Ontario Science Centre, employ photography in ways that consider the medium’s utilitarian role in the sciences, and challenge the presumption of scientific objectivity. 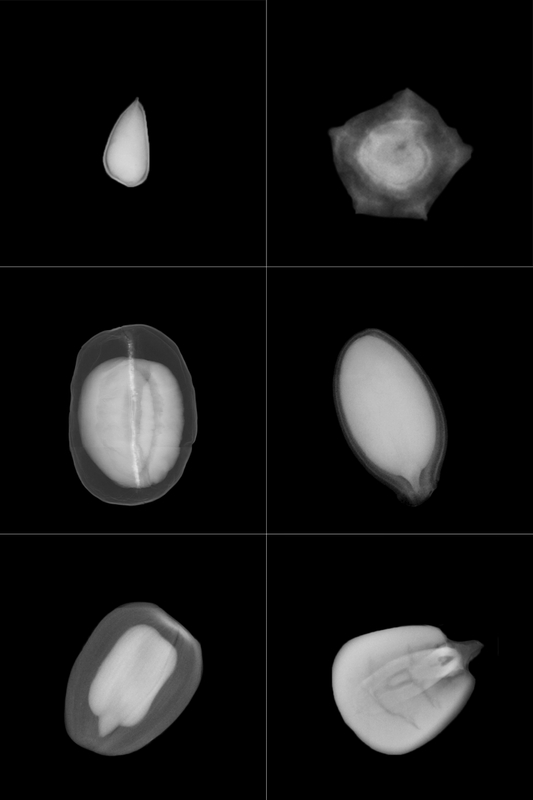 Housed within a room-like structure, Vault Exchange by Texas-based artist Dornith Doherty presents 5,000 X-ray images of seeds—the number of seeds needed to preserve a species. Doherty’s imagery is informed by her expedition to the Svalbard Global Seed Vault—a fortified and inaccessible structure on a remote island near the North Pole. Her work stimulates active participation, as visitors are invited to help build a seed bank onsite by exchanging one living seed for one photograph of a seed. The installation encourages viewers to examine their responsibility as global citizens. It also highlights the environmental and political instabilities that instigated the collaborative scientific effort to generate a backup system for Earth’s fragile botanical life. Elaine Whittaker’s installation Skinscape incorporates over 400 micrographs in petri dishes set within an expansive sheet of suspended netting. 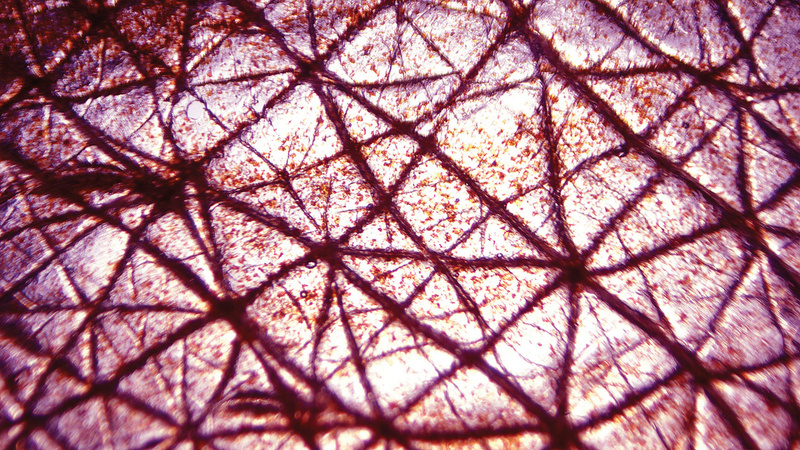 The matrix and texture of skin is presented as a dynamic ecosystem, working together to heal a wound. Evoking the image of a healing scar, Skinscape emphasizes the vulnerability of the body’s largest organ and the layers of information it stores about life’s adventures and misfortunes. The Toronto-based artist depicts skin as a vast microbial habitat within an evolving microscopic landscape, which acts as a permeable barrier that divides bodies from, and connects them to, their environments. Windsor-based artist Jude Abu Zaineh’s installation Home Away from Home draws from domestic environments and the exotic kaleidoscopic patterns of Islamic art. Having lost both parents at an early age, the artist navigates grief, memory, and nostalgia with aesthetics rooted in her Palestinian identity. Adorning the Great Hall windows, sheer, flowing curtains are patterned with photographic images of decaying leftovers from the traditional dish maqlouba. Microscopically documenting the food in petri dishes, Abu Zaineh captures the cyclical relationship of growth and decay. Using biotechnology and a metaphorical approach to science, the artist investigates various ideas surrounding migration, cultural displacement, diaspora, and belonging. Resolution (Mass of Clarity), by Toronto-based PA System (Alexa Hatanaka and Patrick Thompson), combines elements of the duo’s previous projects with a new interactive initiative. Viewers participate by creating clay sculptures that represent their dreams, aspirations, or needs—akin to vision boards and sympathetic magic, wherein symbolic representations are used to influence real-life outcomes. The accumulated objects become a powerful, playful, and hopeful mass of intentions embodied in physical form. Drifts and Directions (2012 – present), a selection of photographs captured in Kinngait, Nunavut, provides the visual context for this installation. These large-scale photographs, printed on fabric, will later be repurposed to construct new Embassy of Imagination artworks, PA System’s ongoing collaboration with youth in Kinngait. With an emphasis on producing radical projects with life itself as the medium, Ontario-based Alien Agencies Collective (Joel Ong, Günes-Hélène Isitan, Nicole Clouston, and Tosca Teran) engage in a bio-art practice, mixing the non-human (microbial and mycelial) and the human. The photo-based works presented in the exhibition reflect scientific research processes, and draw attention to “alien” or unfamiliar worlds and interconnections, highlighting the aesthetic agency of non-human entities, and our entanglements with them. The images in the biomedia art series HumanScapes (2018) by collective member Günes-Hélène Isitan are recorded using the organic materiality of photographic film placed in contact with life itself, rather than through the effect of light. Contrary to “taking” a photograph, Isitan’s unique process makes it possible to “grow” an image. Instead of foregrounding an artist’s authorship, this process allows microorganisms to “paint” their presence on film, under their own agency. Each of these multi-layered installations brings together science and art to investigate cultural and societal concerns. Unlike traditional scientists, these artists provide subjective and emotional evaluations of a complex and fragile world affected by human behaviour. Idea Projects unites two forms of inquiry and reveals the potential for scientific and artistic collaborations to reimagine the global landscape.